A free 14 day trial is available for download. This includes all Ultra Mileage tools and functionality, and the ability to download all of the pre-processed road packs. 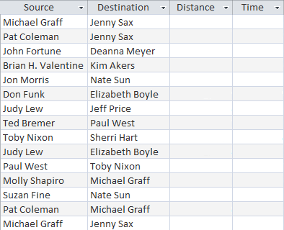 Calculates mileage charts between two groups of locations. Can also perform queries such as "find the 3 closest stores to each of my customers within 30 mins. drive time". 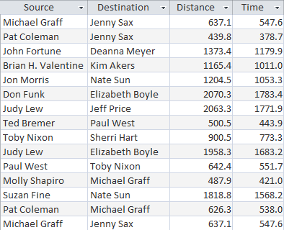 Calculates distances and travel times for point-to-point routes listed in a database. Ultra Mileage uses OpenStreetMap road data, enabling global coverage. This data is available as downloadable road packs. All of the Ultra Mileage documentation is available online, for free.